Because #goodthingsmustshare is an important mantra here on Bagaholicboy, consider this your must-have piece from Louis Vuitton’s latest Spring-Summer 2019 drop that you absolutely can’t miss out on. 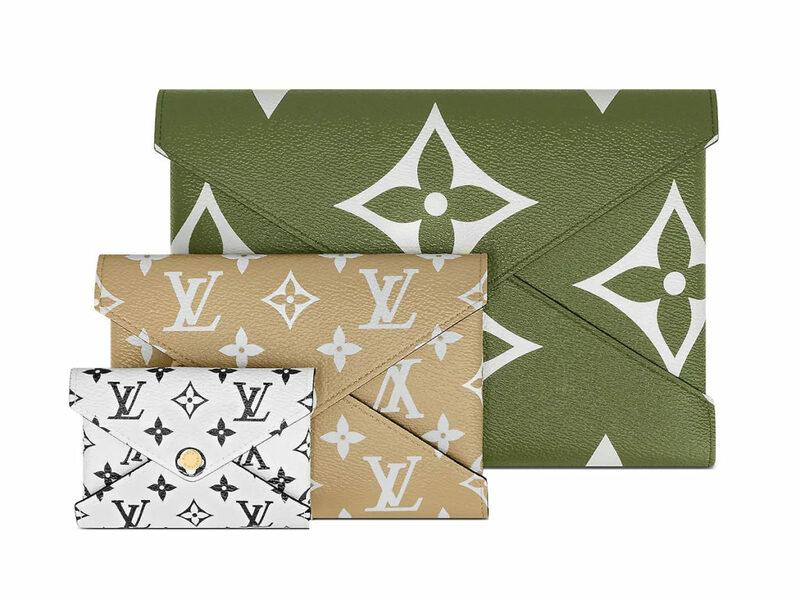 The Pochette Kirigami isn’t exactly new, but rather one that makes a return season after season (remember the limited-edition Catogram print with Grace Coddington back in Cruise 2019?). The great thing is that the 3 pouches can be used together or separately, with the bonus being it can be fitted within one another, making for easy storage when not in use. The biggest size comes in a gorgeous Khaki with a Monogram Geant print. Measuring 23 cm by 16.5 cm, this pouch (or envelope as Louis Vuitton affectionately named it), is roomy enough for a tablet, such as the all-new iPad Mini for starters, or used as a clutch on its own. The medium comes in Beige, measuring 15 cm by 11 cm that’s perfect as a mini wallet, or doubles up as a passport cover if you like. The tiniest in White is just 10 cm by 7 cm, also known as the perfect size for cards and such.